While patients diagnosed with bladder cancer usually face a favorable prognosis, many experience recurrence after treatment. Because frequent, painful screenings are needed to identify recurrences, the ablility to identify patients at high risk of recurrent cancer could help to improve quality of life for all bladder cancer patients. A new study published in BJU International, “Genetic polymorphisms modify bladder cancer recurrence and survival in a U.S. population-based prognostic study,” suggests that certain inherited DNA sequences may affect a bladder cancer patient’s prognosis. 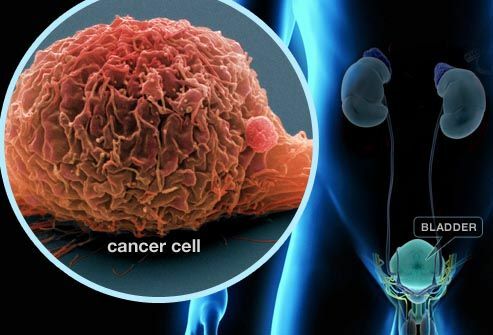 These findings may help physicians identify sub-groups of high risk bladder cancer patients who should receive more frequent screenings and agressive treatment and monitoring. “The genetic markers that we found could potentially be useful for individually tailoring surveillance and treatment of bladder cancer patients,” said principal investigator Angeline S. Andrew, PhD, Assistant Professor of Community and Family Medicine and the Geisel School of Medicine at Dartmouth and a member of the Norris Cotton Cancer Center. Andrew and her colleagues analyzed the genes of 563 patients to identify genetic variants that modified time to bladder cancer recurrence and patient survival. The investigators isolated DNA from immune cells circulating in the blood, and then examined the genes involved in major biological processes linked to cancer, including cell death, proliferation, DNA repair, hormone regulation, immune surveillance, and cellular metabolism. After diagnosis, patients were followed over time to ascertain recurrence and survival status. Patients were followed for a median of 5.4 years, and half of patients experienced at least one recurrence. The team found that patients with a variant form of the aldehyde dehydrogenase 2 (ALDH2) gene were more likely to experience bladder cancer recurrence shortly after treatment. This gene encodes an enzyme involved in alcohol metabolism. Time to recurrence was also shorter for patients who had a variation in the vascular cellular adhesion molecule 1 (VCAM1) gene and were treated with immunotherapy. VCAM1 encodes a glycoprotein involved in the development of lymphoid tissues. Patients who had non-invasive tumors and a single variant allele in the DNA repair gene XRCC4 tended to live longer than patients who did not have the variant. Coauthors on this study were: Jiang Gui, Ting Hu, Asaf Wyszynski, Carmen J. Marsit, Karl T. Kelsey, Alan R. Schned, Sam A. Tanyos, Eben M. Pendleton, Rebecca M. Ekstrom, Zhongze Li, Michael S. Zens, Mark Borsuk, Jason H. Moore, and Margaret R. Karagas. BJU International; Published Online: March 26th, 2014 (DOI: 10.1111/bju.12641). This publication was funded in part by grant numbers CA102327, CA121382, and CA099500, from the National Cancer Institute, NI; the National Institute of Environmental Health Sciences, NIH, the National Center for Research Resources, NIH, the National Institute of General Medical Sciences, NIH. The authors wish to thank the staff and participants of the New Hampshire Health Study and the New Hampshire State Cancer Registry for making this project possible. Norris Cotton Cancer Center combines advanced cancer research at Dartmouth and the Geisel School of Medicine with patient-centered cancer care provided at Dartmouth-Hitchcock Medical Center, at Dartmouth-Hitchcock regional locations in Manchester, Nashua, and Keene, NH, and St. Johnsbury, VT, and at 12 partner hospitals throughout New Hampshire and Vermont. It is one of 41 centers nationwide to earn the National Cancer Institute’s “Comprehensive Cancer Center” designation. For more information contact Robin Dutcher at (603) 653-9056.